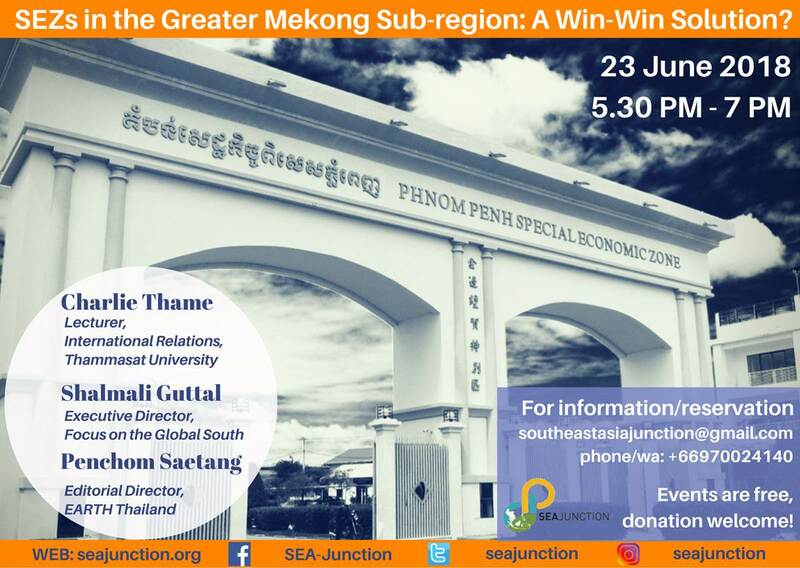 SEA Junction will host a panel on 23 June at 6 PM on the topic of Special Economic Zones (SEZs), specifically in South East Asia region. The Panel will examine incentives and assurances offered to investors weighed against protections and benefits offered to local communities, workers, and the environment. Some of the political, economic, and social implications for the region will be discussed.